WE HAVEN'T HEARD FROM HIM FOR AGES! “Silent” is the muting technology system introduced by Yamaha and has been the worldwide leader in this area for the past 10 years. It enables you to switch your acoustic piano to headphone mode without losing the touch and feel of the familiar, traditional instrument. Finally, an instrument that you can play whenever and for as long as you want – day or night. When you hit the keys, the hammers are caught by a built-in stopper within the piano’s mechanism. Via optical sensors, every nuance of your play is reproduced in digital pitch and volume. With sounds sampled from a Yamaha concert grand piano, the tone quality in electronic mode is pleasant both in opulence and dynamics. Practicing in absolute peace without anyone listening to you means less stress on your way to accomplishment. Sensitive neighbors or loving family members tittering at the odd wrong note – with Yamaha’s Silent System nobody will hear you practicing unless you want them to. An additional earphone jack even enables a duet partner to listen in. For professional pianists who practice for hours on end, the Silent System is the optimum supplement to the acoustic piano. Digitized acoustics enable you to adjust the reverberation to the sound of a small, cozy room or to that of a large concert hall. Furthermore, numerous combinations with other music sources are possible. The connections (AUX-IN, -OUT and MIDI-IN, -OUT) enable various further options. These can range from playing over a hi-fi system, playing in quiet mode without earphones, to feeding your music into a computer and composing program and seeing the music you have just played, practiced or composed in notation. For upright and grand pianos we offer you this muting system for Schimmel and of course Yamaha instruments. For the brands Bechstein, Blüthner, Zimmerman, Hoffmann, Euterpe, F.R. 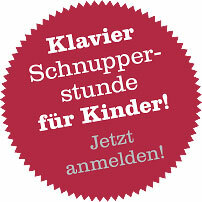 Trübger and pre-owned instruments, we offer you a system by Kurzweil that can be fitted at request.